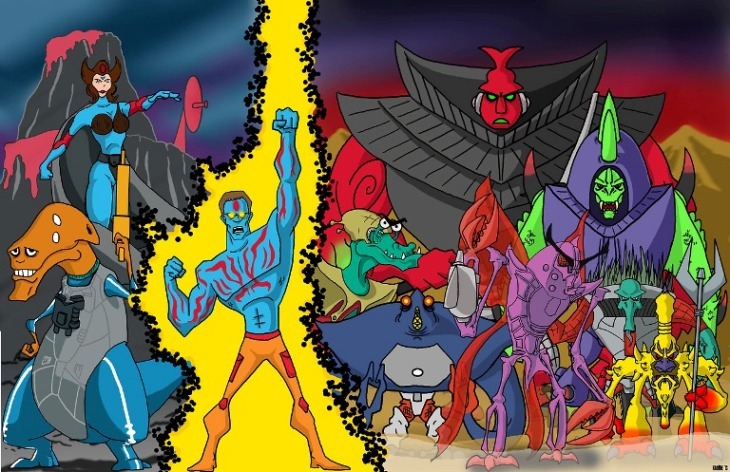 Power Lords Art That’s Out Of This World!! It certainly seems like Power Lord images have been popping up all over the web since it was announced that the toy line was coming back. Here are a couple of pieces that have caught our eye recently. The piece above contains a level of detail best seen in this larger version of this image on Tom Krohne’s Deviant Art Page. We really like the fun and whimsical nature of the piece shown above. Tom Krohne (aka Monsterfink) obviously loves monsters and villains and imbues each of them them with a great deal of personality. The piece below was done as part of an art jam by Carl Pearce. 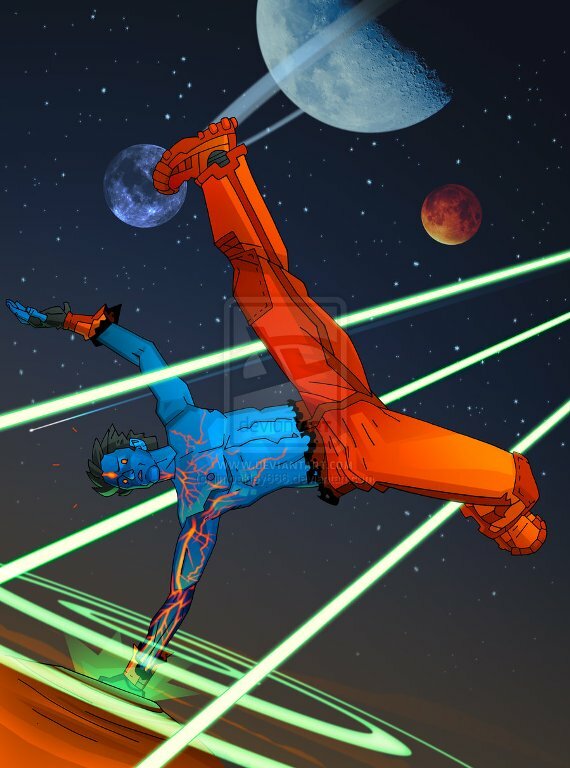 It’s Lord Power dodging laser beams while engaging in what seems to be some sort of very ’80s cosmic breakdance. We love the way this piece crackles with energy and color. It makes us wonder who would win a breakdancing battle between Lord Power, He-man, Lion-O and the Teenage Mutant Ninja Turtles. Here’s a link to the Full Size Image. 1 comment to Power Lords Art That’s Out Of This World!! Hi, I do think this is a great blog. I stumbledupon it 😉 I’m going to return yet again since i have book marked it. Money and freedom is the best way to change, may you be rich and continue to guide other people.